This paper suggests and investigates a p-n structure, which emulates as a MOSFET. 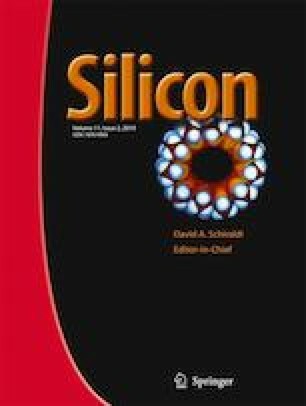 In the proposed structure we utilize an L-shape contact with a proper work function over the source region of silicon on insulator MOSFET to convert the source region from p+ to n+. We check its performance by indicating the band diagram and electron and hole concentrations which acts as n-p-n transistor in OFF state. By employing this idea, the p-n structure acts as MOSFET by a Virtual Hole’s Well at the source side (VW-SOI MOSFET), so the carrier concentrations specially hole concentration modify in the channel chiefly the source side in ON state which suppresses the floating body effect. The hole concentration, electric field, floating body effect and finally the lattice temperature improve. So the self heating effect that is one of the biggest problems in SOI devices, improves. Also, the simulation results of the VW-SOI MOSFET indicate that it is a suitable case for a switching performance because of decreasing gate-source, gate-drain capacitances, and noise. And finally the proposed structure can be a reliable structure because it decreases the effect of hot carriers due to short channel effects.